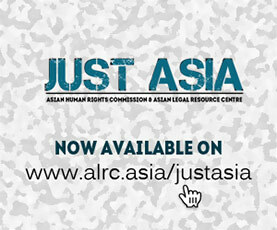 The Asian Human Rights Commission (AHRC) has received credible information of ongoing attacks, intimidation, surveillance and threats, including death threats, against human rights defenders from West Papua that occurred in mid-June 2007, following their meeting with Ms. Hina Jilani, the UN Special Representative to the Secretary General on Human Rights Defenders. It is alleged that members of the Indonesian military (TNI) are targeting people who met with Ms. Hina Jilani during her visit to Indonesia and who informed her about human rights abuses in West Papua. Although a formal letter has been issued to the chief of the national police and the regional military commander of Papua province, no action has been taken by the authorities and the defenders continue to feel threatened while conducting their work. It must be recalled that Indonesia is a member of the UN Human Rights Council, which has mandated Ms. Hina Jilani to carry out her work. Attacks on human rights defenders who have communicated with Ms. Jilani should be considered very grave, as should the Indonesian authorities failure to investigate such incidents, and call into question Indonesias credibility as a member of the Human Rights Council. The Asian Human Rights Commission (AHRC) has been informed of three separate cases of alleged attacks, intimidation and threats by the military against human rights activists from West Papua. It is suspected that the following individuals were targeted by the armed forces shortly after their meeting with Ms. Hina Jilani, the UN Secretary Generals Special Representative on Human Rights Defenders (for more information please see the UN Press Release concerning her visit). The first case reported involves two persons: Frederika Korain, Priest Perinus Kogoya. They all work for the Peace and Justice Commission for the Diocese of Jayapura (SKP Jayapura). They attended a public hearing with Ms. Hina Jilani in Jakarta on June 7, 2007. They returned to Jayapura on June 8, 2007. Sentani airport, where their plane landed, was being heavily guarded by the police, military and intelligence services, as Ms. Hina Jilani was scheduled to visit Papua. The afore-mentioned persons’ vehicle was passing Post 7 Sentani in Ifar (about 5-10 minutes from the airport), when they were rammed by a blue Kijang car with police license plate number DS 1693 AF. As a result of the crash, the SKP car was damaged and the passengers were in shock. The SKP driver attempted to stop the car that had hit them, at which point two men got out of the car and stated that they were intelligence commanders for the military regional command of Trikora (Komandan Intel Kodam XVII Trikora). One of the men also stated in a threatening tone that his name is FX. Subangun and that he works as an intelligence commander in KODAM Trikora. He provided his cell phone number: 0811484860, following which the two men ran from the scene. The police, who saw the entire incident, allowed them to leave the scene of accident without being questioned. Local groups believe that this incident was no accident, but was for the direct purpose of intimidating the two defenders, notably as they had been being followed by the same car since they had left the airport. The second case involves Yan Christian Warinussy, the Executive Director of the Institute of Research, Analysis and Development for Legal Aid (LP3BH) in Manokwari, who has reported that he is under surveillance both at his home and office. On June 8, 2007, Mr. Warinussy met with Ms. Hina Jilani in Jayapura, and he came back to Manokwari on June 9, 2007. At around 8pm that night, Mr. Warinussy noticed a black Kijang Innova car parked in front of his house for about 20 minutes. The car’s windows were tinted. The car returned at around 11pm that same night. On June 11, 2007, at around 7pm, two Kijang cars parked in front of the LP3BH office on Gunung Salju street for about 30 minutes. Mr. Warinussy requested protection from Peace Brigade International (PBI) and asked them to accompany him from Friday June 15, 2007 onwards. On June 16, 2007, at around 8pm, two PBI activists and Mr. Warinussy, saw a metalic-coloured Kijang diesel car and police license plate number DD 546 PD parked in front of Mr. Warinussy’s house for some 20 minutes. The car left and then passed by twice that night without stopping. On Monday, June 18, 2007, at 11pm, that same car was parked in front of the LP3BH office. The car is reportedly owned by the Manokwari Telkomsel telephone company. However, the car is reportedly often borrowed by a member of the Indonesian Navy named Hery, who is believed to be working as an intelligence officer for the Armed Forces Strategic Intelligence Agency (BAIS) in Manokwari. On June 14, 2007, Mr. Albert Rumbekwan received five more text messages from the same number, again containing death threats. AT around 8am on the same day, unidentified persons parked three cars some 20 meters from Mr. Albert Rumbekwan’s office. The cars were a black Avanza, a Kijang LZ and a white Kijang Kapsul. The perpetrators were shouting, allegedly to get Mr. Albert Rumbekwan to come outside and see them, but he ignored them, as a result of which they remained in the area and monitored his offices until around 4pm. According to Mr. Albert Rumbekwan, the persons involved had long hair and came from two particular tribal groups, who it is thought may be being used by the authorities to conduct surveillance on their behalf. When Mr. Albert Rumbekwan left the office in a Komnas HAM Papua car, he was followed to his home by these persons. During the afternoon, Mr. Albert Rumbekwan received a telephone call from the same cell phone number, asking him to meet with the caller at Swissbell Hotel at 7pm that night. However, Mr. Albert Rumbekwan decided not to go to this meeting. On the night of June 17, 2007, a car was reportedly engaged in the surveillance of Mr. Albert Rumbekwan’s house for about two and a half hours. The Commission for Disappeared Persons and Victims of Violence (KontraS) has already issued complaint letters concerning the three afore-mentioned cases to the Chief of Police for the Province of Papua (Kapolda Papua), Regional Military Commander of Trikora, chief of National Police (Kapolri), Foreign Affairs Minister of Indonesia, and the Head of Komnas HAM in Jakarta. However, no effective action has yet been taken to investigate these incidents. The Indonesian government must immediately investigate these incidents, punish those found to be responsible and ensure that all such attacks and intimidation tactics against human rights defenders are halted. Please write to the authorities listed below expressing your grave concern regarding the attacks, death threats, intimidation and surveillance being experienced by human rights defenders in West Papua, notably those who have been in contact with Ms. Hina Jilani, the UN Special Representative to the Secretary General on Human Rights Defenders, during her recent visit to Indonesia. Indonesia is a member of the United Nations Human Rights Council, which mandates the Special Representative to carry out her work in favour of human rights defenders, and as such, attacks on defenders who have communicated with Ms. Jilani should be treated as being extremely serious, as they exhibit a wanton disregard for Indonesias international human rights obligations and pledges. 1) Frederika Korain and Priest Perinus Kogoya from SKP Jayapura. 3) Albert Rumbekwan, the head of the National Human Rights Commission (Komnas Ham) in Papua Province. Alleged perpetrators: members of the Indonesian armed forces (TNI) and the Strategic Intelligence Agency (BAIS). I am writing to voice my deep concern about the grave situation of human rights defenders in Indonesia’s West Papua Province. Defenders continue to face harrasment, threats, and surveillance by the countrys security forces. I am informed that the following individuals have been subjected to such treatment following their having met with Ms. Hina Jilani, the UN Special Representative to the Secretary General on Human Rights Defenders, in which they had discussed with her about the human rights violations in Papua. It must be recalled that Indonesia is a member of the UN Human Rights Council, which has mandated Ms. Hina Jilani to carry out her work. Attacks on human rights defenders who have communicated with Ms. Jilani should be considered very grave, as should the Indonesian authorities’ failure to investigate such incidents, as they exhibit a wanton disregard for Indonesia’s international human rights obligations and pledges. These incidents call into question Indonesias credibility as a member of the Human Rights Council. 1. Frederika Korain and Priest Perinus Kogoya from the Peace and Justice Commission for the Diocese of Jayapura (SKP Jayapura). On their way back from the Sentani Airport in Jayapura on June 8, 2007, Frederika and Priest Perinus Kogoya’s car was rammed by a blue Kijang car with license plate number DS 1693 AF, driven by two persons who informed them that they were intelligence commanders from the Trikora military regional command (Komandan Intel Kodam XVII Trikora). It is thought the defenders’ car was intentionally rammed in order to intimidate them. 2. Mr. Yan Christian Warinussy, the Executive Director of the Institute of Research, Analysis and Development for Legal Aid (LP3BH) in Manokwari has reported that he has repeatedly been placed under surveillance, both at his home and at work, on 11, 16, and 18 June 2007. It is believed that he is being watched by an Armed Forces Strategic Intelligence Agency (BAIS) officer named Hery in Manokwari. 3. Mr. Albert Rumbekwan, the head of the National Human Rights Commission (Komnas Ham) in Papua Province, has received several death threats in text messages to his cell phone. Unknown people have also surrounded the office of Komnas Ham Papua. Mr. Rumbekwan was also followed by a car when going home from work. Threats were also made towards his family. The threats were made between 11 and 17 June, 2007. I am gravely concerned to hear that after Ms. Hina Jilani’s visit, human rights activists are being targeted for having communicated human rights issues to the UN official. As a signatory to the Declaration on Human Rights Defenders, the Indonesian State has a responsibility to guarantee the safety of human rights defenders. The Declaration reads: “The State shall take all necessary measures to ensure the protection by competent authorities of everyone, individually and in association with others, against any violence, threats, retaliation, de facto or de jure adverse discrimination, pressure or any other arbitrary action as a consequence of his or her legitimate exercise of the rights referred to in the present Declaration.” (Article 12.2). Despite the above, the Indonesian military continues to attack and intimidate human rights defenders with impunity. This is ensured by the authorities’ failure to investigate such incidents and to punish those found to be responsible. As a member of the United Nations Human Rights Council, Indonesia has pledged to uphold human rights to the highest possible standards, but these incidents are seriously undermining the country’s credibility in this regard. It must be recalled that attacks against human rights defenders must be taken very seriously, as they represent many human rights victims. Attacks on human rights defenders should be seen as attempts to also silence the victims they represent and amount to attacks on human rights themselves. Although Indonesia has established a National Human Rights Commission (Komnas Ham), which the international community has viewed as being a positive advancement towards the protection of human rights, this institution and its members still faces hindrances to their work and even threats, as the above case shows all too clearly. I therefore urge the Indonesian government to ensure that this body is able to function in line with its mandate without constraints, so that it can properly investigate human rights violations, enabling the prosecution of the perpetrators of these acts. I urge the Indonesian authorities to ensure that all attacks, threats and acts of intimidation cease and all other barriers to the work of human rights defenders are immediately halted. The government must ensure that the afore-mentioned cases are immediately and impartially investigated and that all persons found responsible are brought to justice, with adequate reparation being provided to the victims. As a member of the Human Rights Council, the spotlight is on Indonesia, and as such it must ensure that it lives up to its international human rights obligations and pledges. In particular here, the worsening human rights situation in West Papua must be addressed without delay. I look forward to your prompt and effective response in this matter.